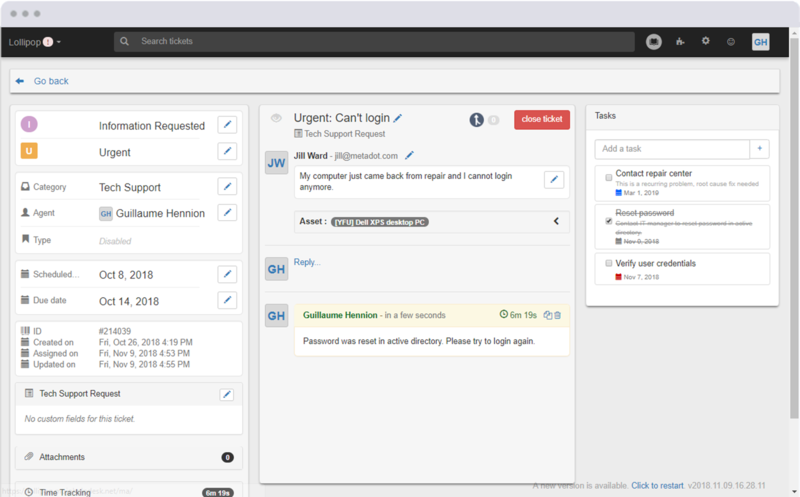 Just released is the ability to add specific tasks to tickets. The task functionality acts as a ‘to-do’ list for tickets to ensure that each step is covered. For example when a ticket is created for a new hire setup, tasks (create Gmail account, add user to Blackboard, etc) can be added to ensure completion of the ticket so that agents do not overlook a step. Managers can oversee the ticket and feel confident that the agent completed all the tasks. Ticket tasks can also be used for workflow tracking: was the ticket approved by the Supervisor? Check. Was the ticket assigned to the appropriate agent? Check. Each task can also be given a due date separate from the ticket’s due date for project management type workflows. For example a ticket comes in for a homepage redesign and is given a due date of December 24. The tasks are added for the ticket such as create content, add graphics, proof read/QA and deploy in staging. Each task will have its own due date leading up to the final due date of the original ticket: create content – due November 15, add graphics – due November 30, proof read/QA – due December 10, deploy in staging – due December 22. Try out using ticket tasks and let us know how you like them. Almost. I don’t see anything in the API that documents this feature. Pulling a ticket with task via API json also doesn’t show the task anywhere. Is it expected that the API will be able to get, add, set, and remove tasks? wow! This is going to be handy! Can I set up a default set of tasks for a particular ticket form? For example, I’d like my “New Hire” ticket form to automatically generate the 6 tasks related to that request. I 2nd what Wayne wants. We are replacing our current workflow New Hire process to Mojo Helpdesk. This new feature would fit in perfectly with that replacement strategy. Having a standard set of Tasks for new hires would be awesome. Building Triggers on those Tasks would be out of this world Awesome! This is a great start! Task templates with pre-defined sets of tasks would be awesome, though. Also, being able to assign a task to an agent would be amazing too. Very frequently multiple agents need to touch a ticket to complete it and as it stands now there is no way in Mojo to assign multiple agents to a ticket or delegate sub-tasks to other agents. Great idea, but seems a bit manual. I agree with others that there needs to be a way to assign tasks to a ticket either by applying a certain tasks template, or by assigning tasks on the Ticket forms. Both options would be very helpful! Great new feature. Will work great when training a new support technician! Does this feature come with all Mojo packages? Yes, I agree with the rest! Great addition. Pre-defined set of task for pre-defined types of tickets would be really nice and having multiple persons be allowed to be assigned to a single ticket. 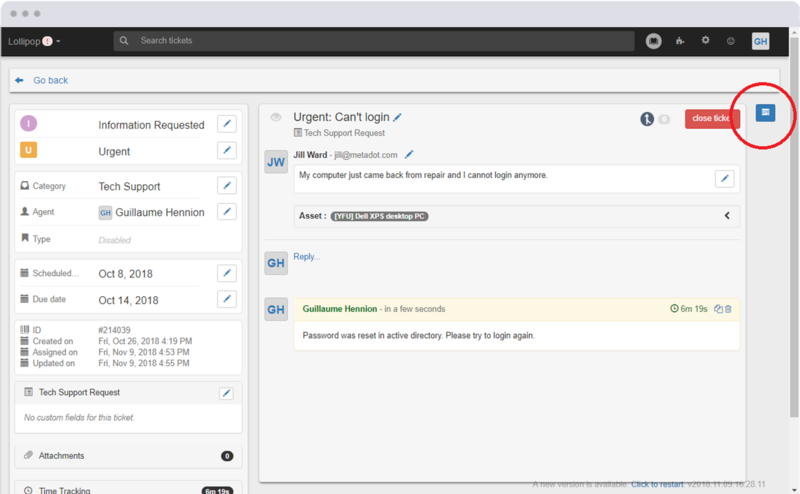 The ability to add tasks will allow the users to cover quickly the required number of tickets. The application is successful and controlled by managers.